The key to sustainable development of mining enterprise lies its abilities to renew mineral resource base, develop infrastructure, train personnel and introduce more efficient solutions to reduce the costs and improve efficiency. The prolonged period of low prices and unstable demand for metals continues putting pressure on investment attractiveness and profitability of mining businesses. Against this background, companies continue to focus their priorities on optimising costs, ensuring profitability, cash flow stabilisation, improving ROI, consolidating assets, placating investors and other stakeholders. Although many businesses realise that when financial and commodity markets will turn from blinking red to solid green, the companies with resources and abilities for rapid growth will be the first to get through the “window of opportunity” and rip greater benefits, the risks remain too high with unpredictable trends and unprecedented market volatilities. The ability to take precise decisions and implement smart solutions in today’s environment is a matter of survival. The cost of error can be extremely high and result in loss of value, investment, opportunities and the whole business. The current market is extremely difficult, but it does not mean collapse of the entire mining industry. There are not too many materials which can replace metals and even fewer alternatives to uranium or energy coal for generating cheap energy. Businesses need to make every effort to reduce waste, money and time delays to survive the downturn and get ready for inevitable growth. Since the beginning of 2016, the Moscow Exchange Metals & Mining Index showed consistent growth. Many experts predict that many metal prices – from gold to lithium – will continue to rise. On the back of the optimistic forecasts, hopes were recently subdued by slowing consumption in China and mounting corporate debts which resulted in drops of shares of the largest mining companies. However, optimists argue that this is a temporary correction. While the dollar printers are hard at work and planet’s population grows and consumes, the money will find its way into hard assets, such as mining. Instability and corrections are handy for buyers and those who have access to cheap money. Will the 2016 bring stabilisation and growth in metals and minerals prices? Will the new upward cycle be similar to the previous one and which fundamental drivers will reinforce it? How prepared are Russian companies for growth and competition for new markets, money and technology? Will companies avoid making mistakes in their choice of investment and development strategy? 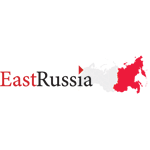 What sources of funding are available to mining companies working in Russia? Can companies effectively overcome Russia’s isolation from Western technologies and capital to ensure sustainability? What conditions and incentives are offered in Russia to investors and how they compare with other mining jurisdictions? 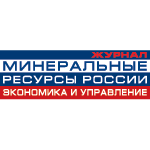 MINEX Russia 2016 Forum will address these and many other issues that define the modern realities and prospects in the Russian mining sector.